For those who may not be up to speed with the latest keyboard offerings, the K810 is a full-size backlit Bluetooth keyboard that works with Windows, Android, and iOS. 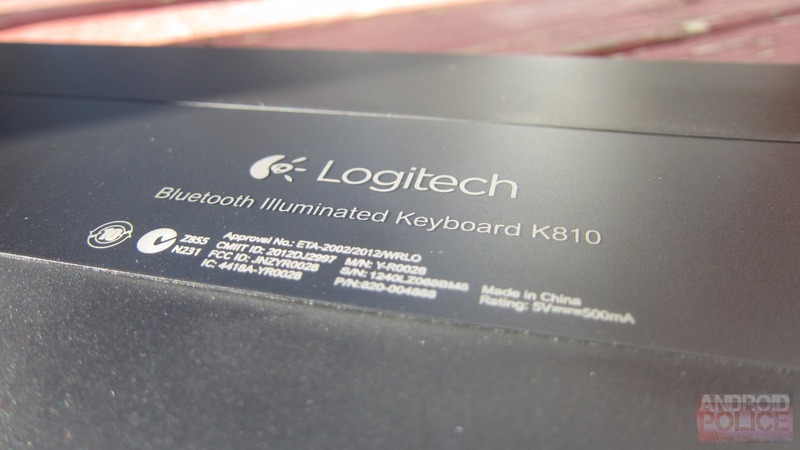 While cross-compatibility isn't a first for a wireless keyboard, the K810 is unique in its ability to pair with three different devices at the same time. Toggling through each one is simple, thanks to the dedicated keys at the top of the keyboard. In theory, this should make text input across several devices insanely easy - just pair the keyboard with your PC, Android phone, and tablet, and away you go. After that, you can type a document on your computer, quickly switch over and respond to a text message on your phone, and then jump over to your tablet to respond to an email. I'm not sure why you'd use your tablet just to reply to an email when you're already sitting at your computer, but for the sake of my example, that's what you did. Deal with it. I'm happy to confirm that, in reality, this works exactly as it should. 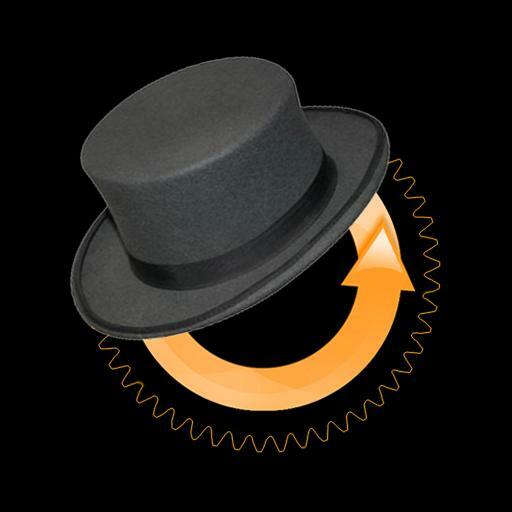 The entire process of switching back and forth is nearly seamless - though it does take roughly 2-3 seconds the keyboard to reconnect each time. Then again, I would expect nothing less, because that's just how Bluetooth works. Aside from the K810's ability to pair with three devices and switch between them at the touch of a button, it also features a fully adjustable backlight. And it's absolutely amazing. The backlight automatically goes off after a certain period of inactivity, too, so it's not draining the battery when you're not actually using the keyboard. Speaking of, Logitech claims this little guy will get 10 days of battery life with two hours of usage and maximum key brightness each day. If you turn the backlight off, though, it should be able to go for one full year between charges. I've been using the K810 basically all day every day since I received it (paired with my laptop and Nexus 7) at minimum key brightness, and have only had to charge it once in about two weeks so far. Considering I never turn it off (there's a power switch on the right side) unless it's in my backpack, that's not too bad. 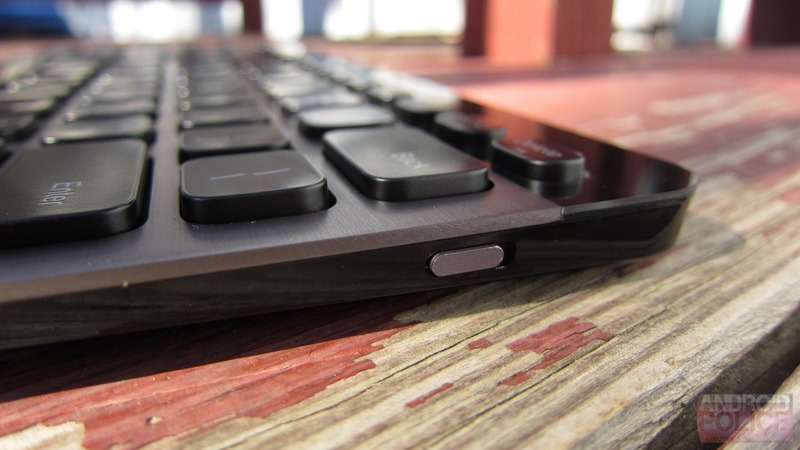 My biggest complaint about the battery, though, is that there's no way to tell how much charge the keyboard has left. When you turn it on there's a green light to let you know it's OK, and that light turns red when it's time to juice up. Otherwise, there's nothing - no indicator on the keyboard, app, or other dedicated software to output the remaining battery. 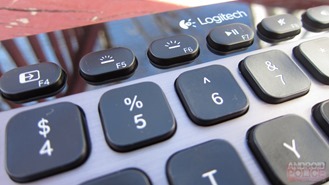 When I inquired about this, I was told Logitech "can't comment on future products." So, whether or not we'll ever see a way to check the battery level is a crapshoot. I guess it's not a huge deal - the K810 charges over USB, so you can always use it while it's charging. It just becomes wired for a bit. While that may be a downside, it's only one of the few that I've found with this keyboard. The typing experience is absolutely amazing - it's on par with some of the best keyboards I've ever used. The key travel is short enough to make the experience fast, but still long enough that the action is tangible. The keys are quiet and smooth - simply put, this keyboard is a joy to type on. In fact, I enjoy typing on it so much that I actually found myself wanting to type more than I already do. And that's saying something. Of course, it's not perfect in that aspect, either. It's actually missing one of the features I use the most on any keyboard: media player controls. Whether I'm working on my laptop with an external keyboard (which I do while at my standing desk) or my Nexus 7, I usually have music playing in the background. If a song comes up that I don't want to hear, I hate having to navigate away from whatever I'm working on just to change the track; thus, I usually rely on built-in controls on my keyboards. Unfortunately, the K810 is missing forward and back. It does, however, have a play/pause button, as well as volume up, down, and mute buttons, so it's not a complete loss. Another tremendous advantage of the K810 is its outstanding build quality. 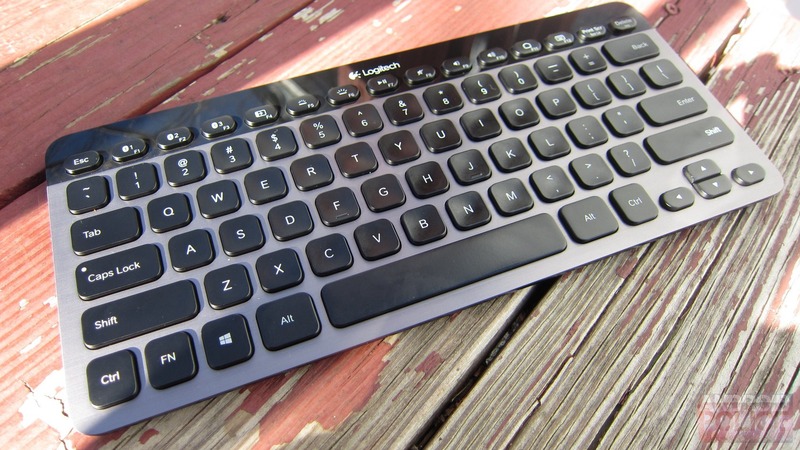 Unlike other portable keyboards I've used, the K810 feels like a real keyboard. And by that, I mean it doesn't feel cheap and flimsy. It's solid and well made - like something you'd find on someone's desk, not in their backpack. Make no mistake, though - it's definitely small and light enough to toss in your bag and take everywhere you go, and you'll definitely want to do so if you type a lot on your phone or tablet. 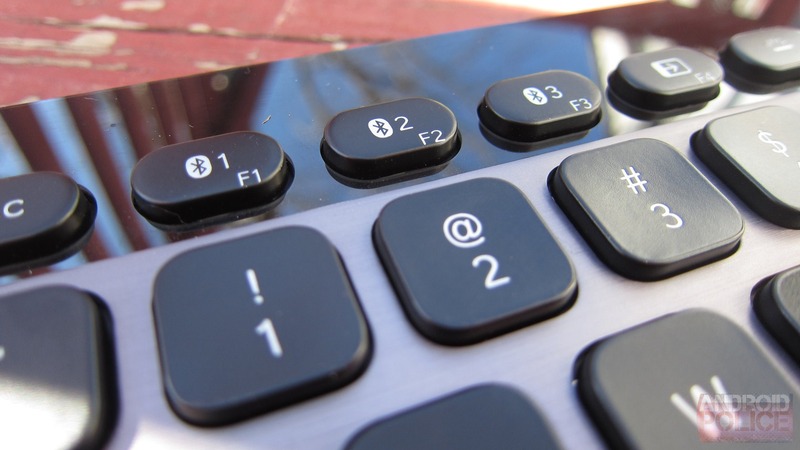 At the same time, it's also stout enough to use as a primary keyboard on your PC if you choose (unless, of course, you require a numberpad). Overall, I think the K810 may actually be the best keyboard I've ever used, or at least a very close second. It's difficult to really put into words how much I like it compared to all the other keyboards I own, especially considering I can't say I've ever typed on one that made me want to just keep typing. That's not to say it doesn't have downsides, but there's no such thing as a "perfect" product, anyway. 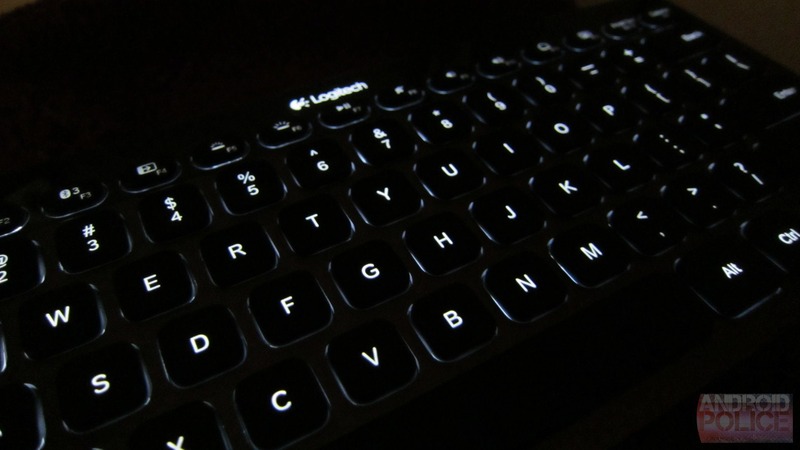 Still, all the makings of a great keyboard are here: a smooth typing experience, adjustable backlighting, ultra-portability, the ability to easily switch between multiple OSes/devices, and solid battery life. The fact that it doesn't have a battery monitor or media controls is easily overlooked (for me anyway), but it would be hard to find anything negative about it if they decide to add that to an upcoming model. So with that, I give you the links to buy one for yourself.